Taking a defensive driving course offers many benefits to drivers both young and old. The purpose of this course is to teach drivers safe techniques to prevent accidents and to enhance driving skills beyond what a road test requires. It’s also beneficial to take the course because it can reduce your insurance rates by up to 10 percent. 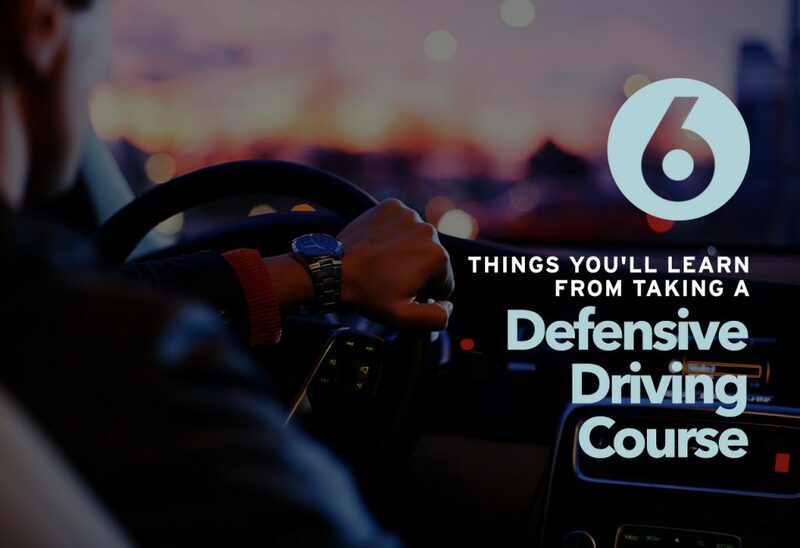 Here are six things you’ll learn in defensive driving that will improve your driving skills and reduce your risks on the road. Your mental status when driving has a more significant effect than you probably think. You must keep your focus while driving, but this is difficult when you’re upset, angry, or stressed out. The course helps drivers learn how to manage stress, road rage, and fatigue while driving so you can focus on safely handling the vehicle. Most accidents are avoidable and include numerous events that lead to the crash. Factors that influence the severity of the collision include the size of the object you collide with, how fast you’re going, and where the impact on the vehicle is. In defensive driving, you’ll learn about the different elements that contribute to a crash and how to limit the impact or avoid it altogether. Studies show that in nearly half of all fatal accidents, the deceased were not wearing their seat belt correctly. Other safety equipment including airbags, headrests, and safety seats for children also reduce the risk of injury or death in an automobile accident. You’ll learn how to use safety equipment correctly to ensure you’re as safe as possible when driving. Drugs and alcohol impair driving ability by slowing reaction time and impacting your motor skills, increasing the risk of an accident. Each person reacts differently, and the stages of impairment vary depending on how your body handles it. It’s also worth noting that some over-the-counter drugs also impair ability. Your course will likely also teach how these affect the body. Driving laws vary from state to state. Traffic laws change over time, and it’s possible that students might not be aware of many statutes in place. A refresher on driving statutes is even more important for students attending the course due to a traffic violation because this knowledge helps prevent future tickets. Defensive driving offers many benefits to both you and other drivers. Take advantage of what you learn while reducing your car insurance rates!